Today, I'm thrilled to post an interview with fellow Astraea Press author Jennifer Comeaux. Jennifer's Edge series is actually what inspired me to pitch PODIUM FINISH to AP. 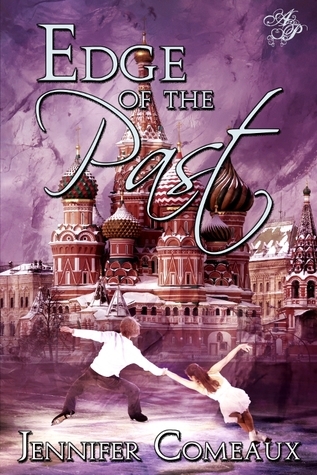 Plus, in celebration of the Olympics, her series is now on sale on Amazon, so check them out! Please briefly tell us about your series. 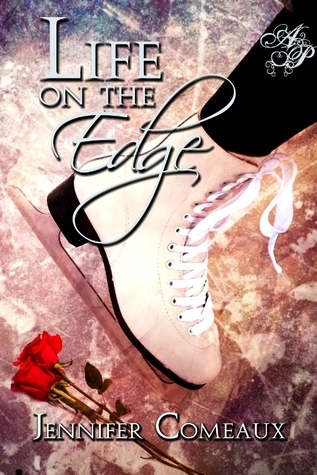 The EDGE series follows Emily, a figure skater, and her friends as they pursue their Olympic dreams. There’s lots of heart-pounding romance and heart-stopping action on the ice over the course of the three books! What drew you to write about skating? I’m a huge fan of the sport and have always been intrigued by all the backstage drama. There aren’t a lot of movies and fiction books about skating that present the sport realistically, and I wanted to write a story that had fictional elements but also stayed true to the sport. Did you do any research before writing your first draft? I used a lot of what I’ve learned about the sport from attending competitions over the years, and if I needed to research something specific I addressed it as I was writing. I usually dive right in and then research as I go. Which character is your favorite to write about and why? Chris, Emily’s skating partner, has been my favorite because of his sense of humor and his easy-going personality. He’s such a good friend and partner to Emily, and he has a sweet, romantic side that we get to see in the final book of the series. I developed a major crush on him while writing that book! It needs to be much more structured! I have a day job as a tax accountant, so I can only write at night or on weekends. I can visualize scenes in my head, but I’m a very slow writer and words don’t come to me quickly. I usually sit and stare at the page a lot. What is your favorite part of the writing/revising process? My favorite part is editing the completed manuscript. I like working with material that’s already there, adding little details and emotions that really make the story come alive. Plotting. I’m horrible at thinking up climactic incidents and turning points. I usually somewhat plot the first half of the novel and then just start writing to see where the story takes me. Can you tell us anything about the companion novel you are working on? 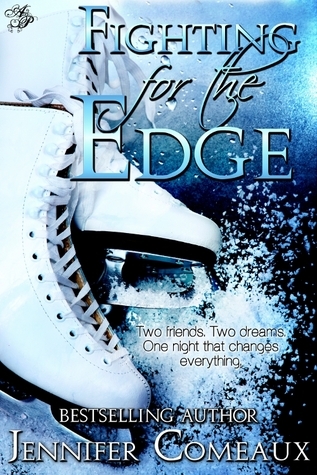 The main character will be Courtney, a young pair skater we met in the EDGE series. She’s twenty-one now and will have her share of romantic drama as she works toward her dream of making the Olympic team. Lots of familiar faces from the EDGE series will be around as supporting characters. What’s one publishing lesson you’ve learned along that way that you wish you’d learned sooner? I can’t really think of anything. I’ve had a good experience with my publisher Astraea Press and am so glad I discovered them for my series. Set little goals for yourself and just keep writing. Once you complete that first book, it will give you such a mental boost. Try to write just a little every day if you can. It all adds up! Now let’s talk figure skating! Michelle Kwan is my favorite singles skater of all time, and Meryl Davis/Charlie White are my favorite ice dancers. That’s a tough one! There have been so many programs that have touched my heart. Michelle Kwan’s “Fields of Gold” program ranks up there, especially when she performed it at the 2002 Olympic gala with tears streaming down her face. It was one of the most emotional programs I’ve ever seen. Any podium predictions for Sochi? Which skaters do you have your eye on? My dream is to see Meryl and Charlie at the top of the ice dance podium. I’d also love to see Mao Asada win gold and Ashley Wagner get a medal. In the men’s, Daisuke Takahashi is my dream gold medalist, but I think Patrick Chan is going to take it. In pairs, I’m rooting for Aliona Savchenko and Robin Szolkowy to win gold, but I think Tatiana Volosozhar and Max Trankov will prevail. For more about Jennifer, follow her on Twitter (@LadyWave4) or check out her books on Amazon.